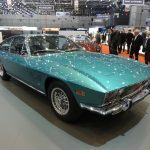 The biggest, and most welcome, surprise for me at the Geneva Motor Show, was the presence of Monteverdi’s display in Hall Six. Considering the company doesn’t make new cars, and has no shiny products to promote – and this is not a classic car show – most people I mentioned this to were baffled by the company’s appearance. 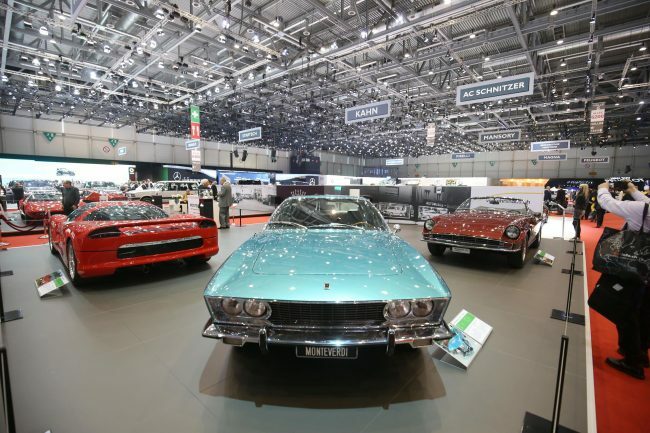 However, this is Geneva and, aside from Sbarro, Monteverdi is probably the country’s best-known carmaker. During its short and illustrious career, it spoiled us with some absolute honeys. 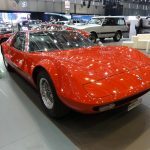 This company was formed in 1967 by Basel garage owner Peter Monteverdi, who put his gorgeous Chrysler V8-engined GT cars into production. 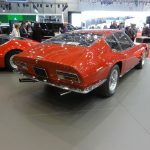 Encouraging sales made the company hungry for expansion and it launched the mid-engined Hai (in the gallery below) as a Ferrari and Lamborghini pretender in 1970. Brave, but only two were built. 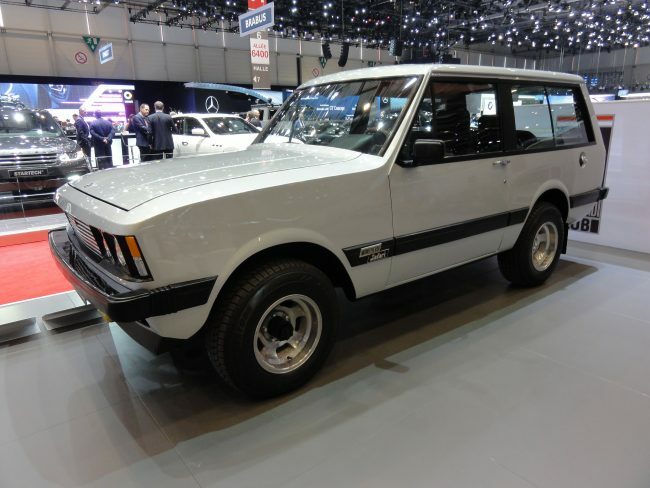 After the highs of cars, such as the Hai (pardon the pun) and 375L, Monteverdi moved to restyling existing cars, such as the Sierra (a Plymouth Volare) and the 4×4 Safari (an International Harvester Scout, below). The company called it a day in 1984 and ceased production, converting its factory into a car museum the following year – and that was that. So, why here, why now? It’s an interesting question and the answer is that the Monteverdi Club was offered a stand there which the members were able to fill with some the finest cars from the marque’s really interesting back catalogue – in fact, of the aforementioned cars, only the Sierra didn’t make the cut, which is a shame, because I’ve never seen one in the metal. Thing is, I’ve always liked these cars – right back to my childhood days playing Top Trumps – and seeing these mysterious cars among the more common-or-garden Ferraris, Jaguars and Cadillacs took me back. It was only when I got older, and managed to find some decent research material, that I found out more about these wonderful cars. Why the ’emotional’ bit in the title? Thing is, the Monteverdi Club stand was plumb in the middle of the tuners’ corner of the show so, after seeing the ‘delights’ of Gembella, Hamann, Mansory et al, I stumbled into this lot – and it helped remind me just how gorgeous these cars were – and how utterly vile to look at many of their new counterparts are. And it isn’t just the tuned cars – we’re in a golden era for technological advancement and yet far too many production cars today are saddled with questionable styling. Hopefully, though, the industry execs of the world went through the same process as me on Tuesday – and wandered into Hall Six. 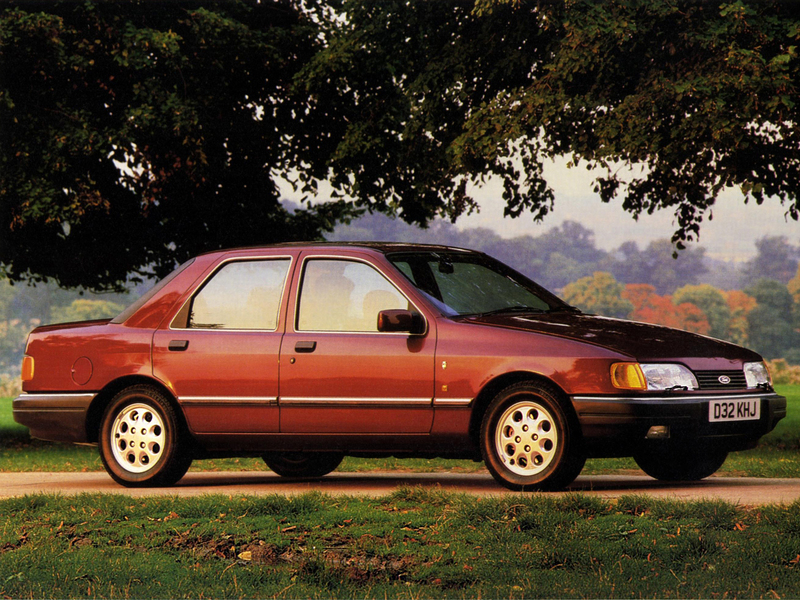 Then they may have come to the same conclusion: we need a return to understated and considered car design. I know safety regulations mean you have to armour-up cars, but modern design and production techniques surely mean they don’t have to be as willfully ugly as so many are! I have to agree that there is something intriguing about these bespoke cars, the same with makes like Bristol and Bitter that were more likely to be seen in motor show catalogues than on the road. Am I right in thinking that Peter Monteverdi’s 4 door Range Rover conversation was instrumental in Land Rover’s own? 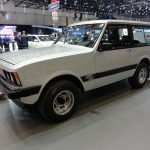 I understand this to be true – LR even officially offered it as an aftermarket conversion until they decided to do their own one.